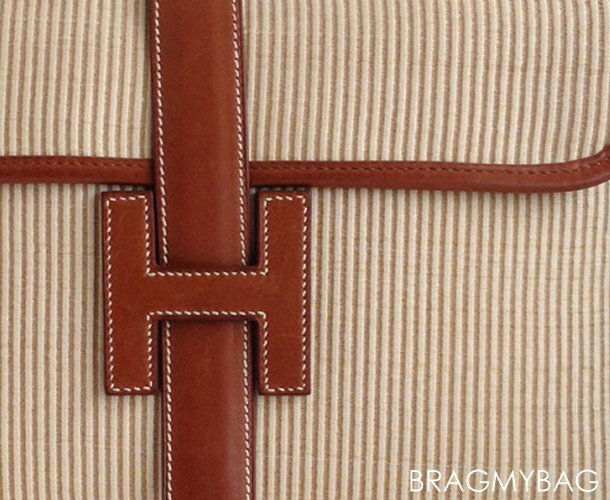 Hermes designs their bags with only the finest leather materials. Trying to decide which one is right for you? 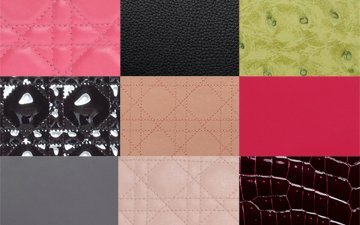 Take a peek at some of the most popular leathers Hermes has to offer. 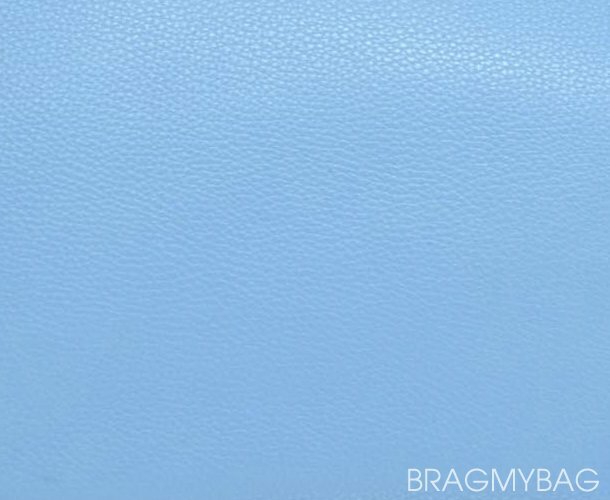 The oldest type of leather used in Hermes bags, box calf leather (or veau leather) has an incredibly smooth finish that offers a glossy and sophisticated finish. 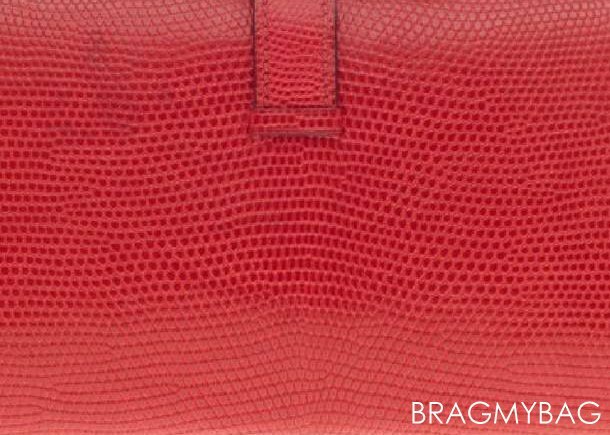 And while box calf leather is quite a sensational site, there is one downfall you have to watch out for: blemishes such as scratches and water marks are easily noticeable on this bag, but after time the deformities blend into the bag and create almost a mirror-like texture. -Be careful when handling this bag in rainy weather, as water marks will undoubtedly stain the bag. -If you end up with scratches or other blemishes, try lightly buffing the bag to blend. Canvas differs from other leathers immensely. In fact, Canvas isn’t even a true leather; it’s actually an incredibly sturdy and durable cloth. However, in the world of Hermes fashion, canvas is treated and combined with several other leathers to create a strong exterior that can withstand just about anything. You’ll find canvas on many of their bags, one of the most popular being the Hermes Herbag which is made up almost entirely of Canvas material. -Incredibly durable, making it a long-lasting bag that can withstand the elements. -Typically easy to clean. Most spills and marks can be removed at home. This popular type of leather has been around since the 1980’s, and is quickly becoming a classic. The grain type is a bit bigger and flatter than other available leathers (like the grainy Togo), which may result in cracking around the edges of the bag, although is can easily be refurbished to as good as new. Made from baby bull, ‘veau taurillon clemence’, or just simply ‘clemence’, is a durable and heavy material which is why it is one of the slouchier leathers- although many women see that as a great advantage. Much like everything else in life, there is one downside to the Hermes Clemence Leather: water can produce unsightly blisters on the bag, so being careful around rain and other water is a must. -Be careful around water, as water can cause water blisters that are almost impossible to remove. Always wipe down immediately after contact with water. -If the heavy yet durable leather starts cracking around the edges, get it refurbished. 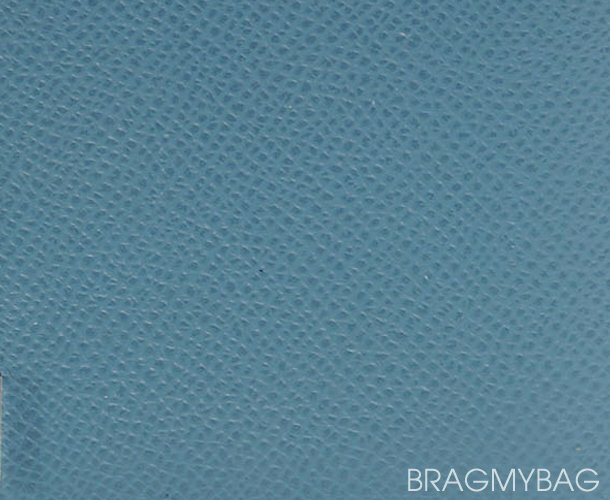 Togo leather is an incredibly popular leather for one simple reason: it is almost entirely scratch resistant and can be refurbished to as good as new condition if veining starts to appear. Made from a baby calf (also known as a veau), Togo is a beautiful leather that appears to be raised, yet has a smooth and fine texture that glides across your fingertips. Many women enjoy the pronounced graininess of this leather, yet some think Togo is a bit too heavy. -Almost completely resilient to scratching. -Easy to clean and can be refurbished incredibly quickly. -Has a raised grainy appearance, yet is very smooth to touch. 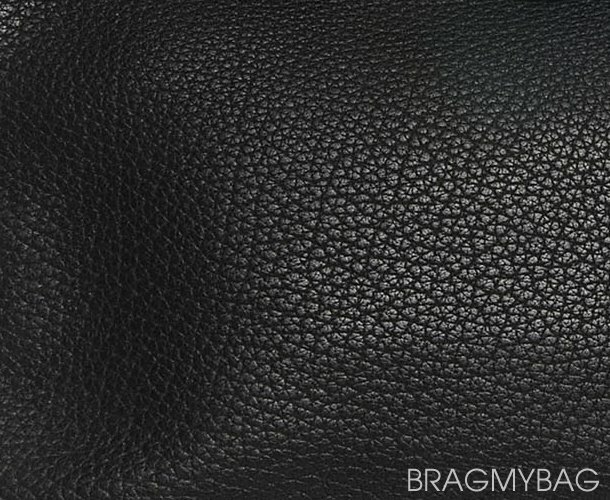 Unlike other leather, Epsom leather is an embossed leather, which simply means that the pattern pressed into the leather is not the actual; grain, giving the bag a laminated appearance that is rigid and structured. 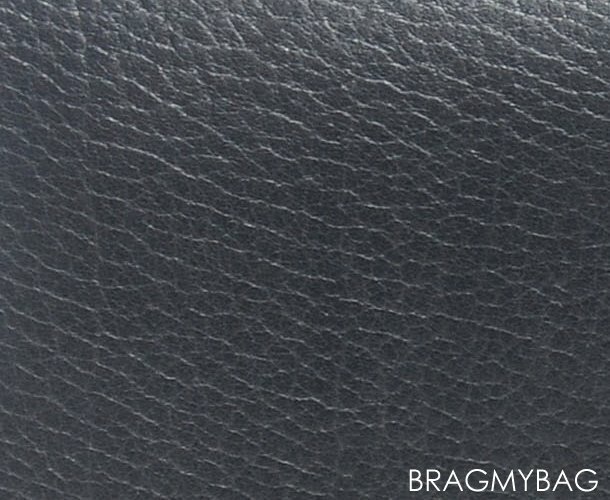 This compressed type of leather holds true to its shape in all instances and is completely resilient to scratches. With the ‘laminated’ exterior, cleaning an Epsom leather bag is as simple as wiping it with a damp towel, making it a very simple and handy type of lightweight leather. -Incredibly easy to clean, grime wipes right off. -Lightweight and easy to handle. With a much wider and flatter grain from other types of leather (like Clemence), Fjord (A Vache or adult cow leather) is a gorgeous matte-like leather made from adult cow hide. It has a very soft texture that is elegant and sophisticated, and its rather heavy exterior is completely water resistant- which means you don’t have to worry about dealing with unsightly water marks. Although some say this type of leather is a bit heavy, its classy and matte texture is well worth the weight. 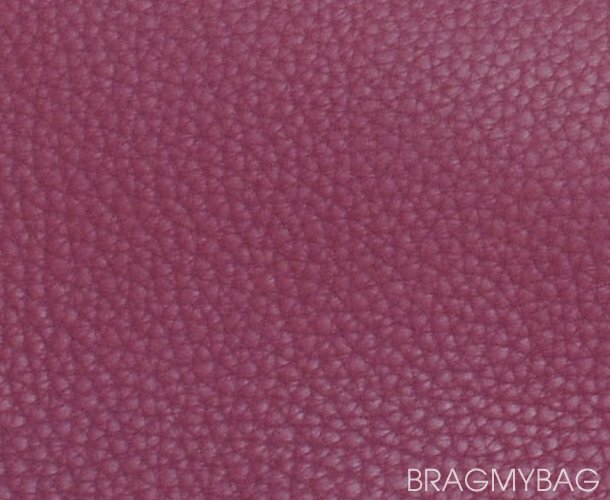 -Gorgeous flat grain that has a matte-like appearance and texture, soft to touch. 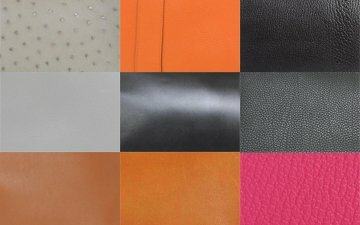 Gulliver Leather, which was discontinued in the year 1999, was reintroduced in 2005 to what we all know as Swift Leather. 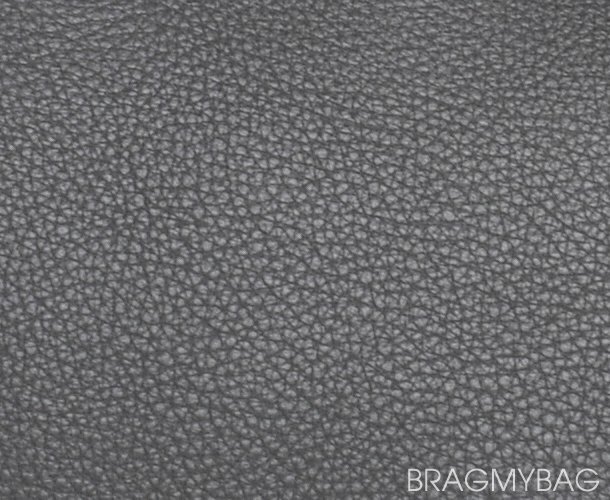 This type of brilliant leather not only has a fine grain that is amazingly soft to touch, but is also a luminous type of leather that seems to shimmer in the sunlight. Swift Leather has the ability to reflect light brilliantly while also being a superior dye absorbent, making colors appear brighter and more vibrant. Although this type of leather may be scratched easily, small scratches can be whisked away by a mere swiping of your fingers. -Enhanced luminosity, making colors appear brighter and more radiant. -Is very soft to touch, which makes scratching easier (but minor scratching can be rubbed off). If you’re worried about scratches and other flaws, Chevre de Coromandel is an excellent option. This type of goathide leather is extremely resilient and strong, while also being a lightweight leather that can be carried around with ease. Women adore the soft texture of this goathide leather, and love even more how tough it is against scratches. This is certainly what long-lasting bags are made of. -A very soft-to-touch type of leather. -Lightweight and easy to carry around. -Typically a long-lasting leather that can withstand the elements. If you like the Chevre de Coromandel, then it is only natural that you’d also have a love affair with Chevre Mysore Leather. Following in the footsteps of the Chevre de Coromandel, Chevre Mysore is made from goathide and is completely resistent to scratching. However, Chevre Mysore has a more refined grain than its sister leather Chevre de Coromandel, thus making the grain more visible. -Very lightweight and easy to handle. -More visible grain, which many women prefer. This fine leather comes all the way from Africa’s Nile River region located in Zimbabwe. 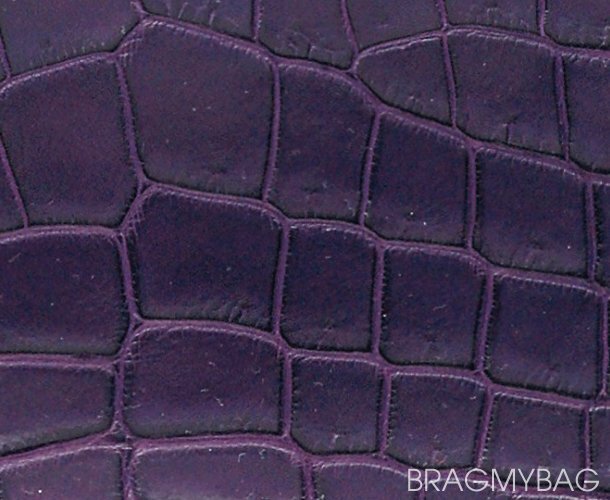 Derived from the Nile Crocodile, this gorgeous leather comes with a very large scale pattern that is very visible and remarkable, definitely a head turned. Compared to other leathers, the Crocodylus Niloticus in not only larger in scale size, but is also glossier and shiny thanks to the continuous buffing- thus giving it the ‘shiny leather’ name. 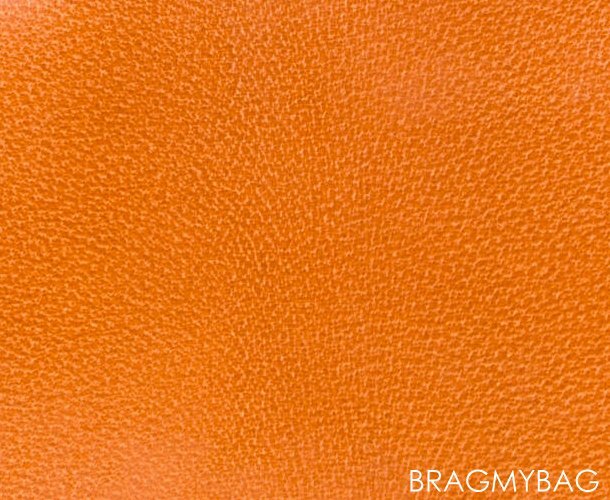 You can easily note when a Hermes bag is made with this type of leather as you’ll see two apostrophes located somewhere on the bag. And care must be taken when rain. -Extremely shiny and glossier than other leathers. -Has large, very visible scales that many women are fond of. 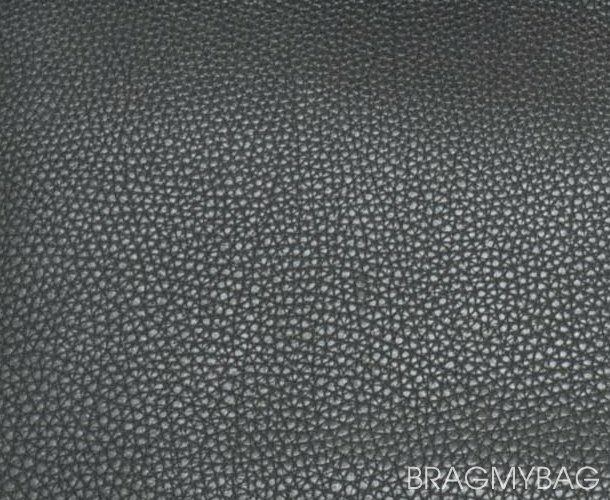 Much like its sister leather Crocodylus Niloticus Shiny Leather, this particular leather comes directly out of Africa’s Nile River in the region of Zimbabwe. 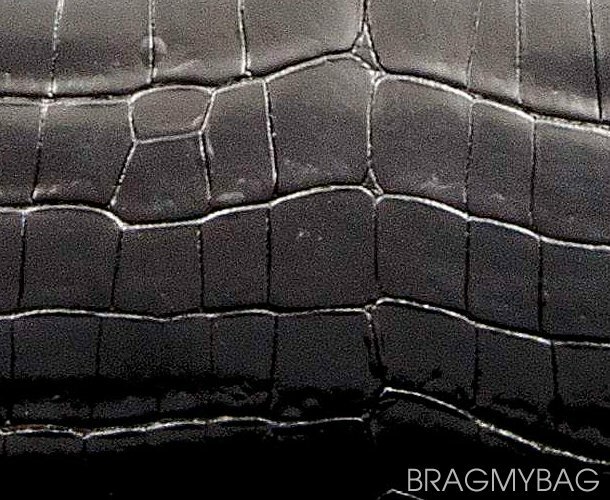 However, although they are derived from the same type of crocodile, Crocodylus Niloticus Matte Leather is not given hours of continuous buffing. Instead it is left with a matte finish, giving it a more distinct pattern. 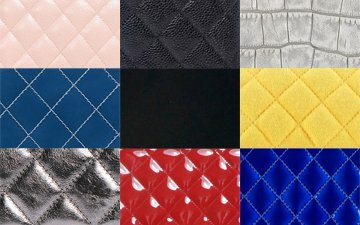 This leather also has the larger scales that are highly sought after in the fashion industry. 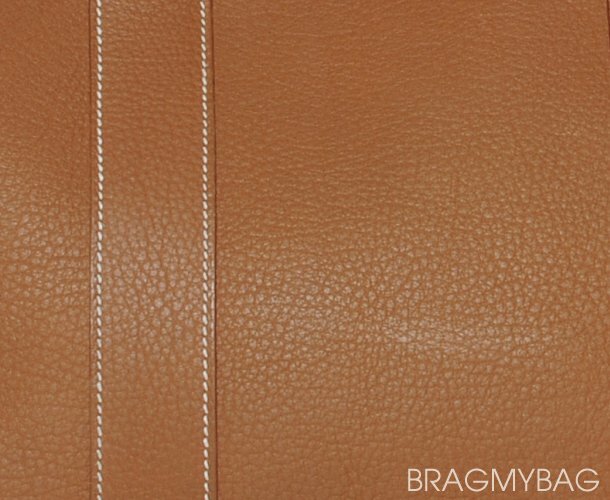 You can also decide whether or not your Hermes bag is made with this type of leather by finding the two apostrophes signs somewhere on the purse. This leather must not get wet, care must be taken in rain. Stain or wet can create a permanent damage. Veau Grain Lisse, or simply known as ‘VGL’ Leather, is very similar to the Epsom. In fact, many believe the Epsom replaced this leather when VGL was discontinued in 2002-2003. However, many bags are still circulating with Veau Grain Lisse- so what is it? Basically it is a very lightweight leather with obvious grains, although the grains are less angular than those found in the Epsom. 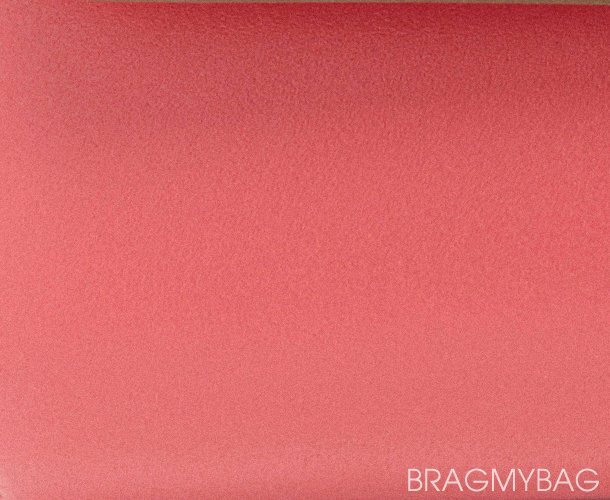 It is another type of popular embossed leather, which means it is completely scratch resistant and easy to clean. -Easy to clean thanks to the embossed leather. 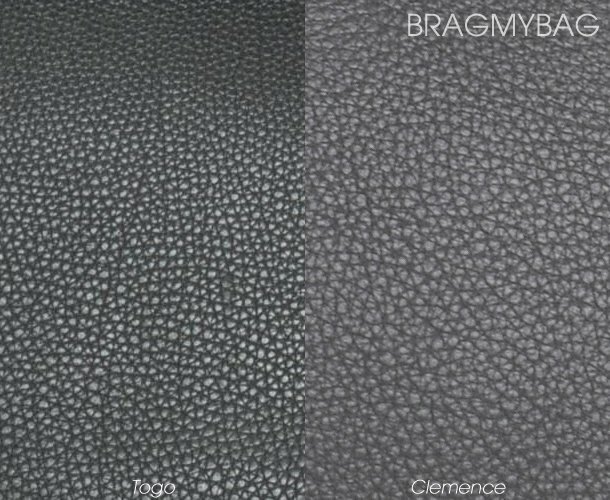 Another popular leather from crocodile, the sensational Crocodylus Porosus Leather is a stunning and vibrant leather that shines for miles. It’s dazzle, much like the Crocodylus Niloticus Shiny, is brought on by hours of continuous buffering. 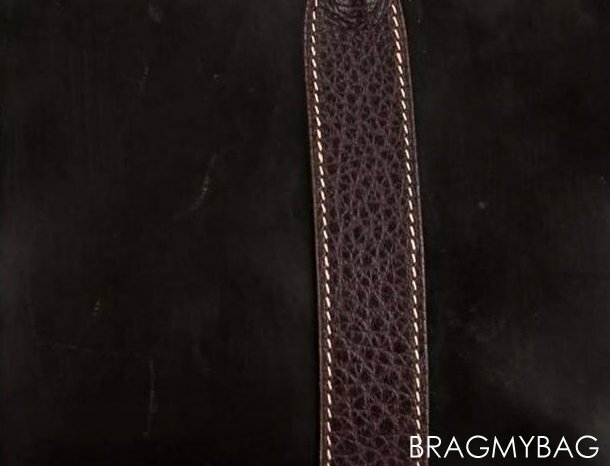 However, unlike its cousin Crocodylus leathers, this particular crocodile leather is farmed in the area of Australia and Southeast Asian, one of the most common locations being Singapore. 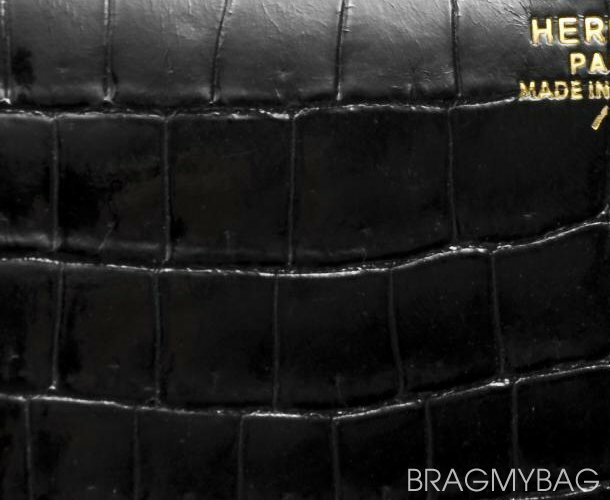 To decide whether or not your Hermes bag is made with Crocodylus Porosus Leather, search for the ^ symbol. Care must be taken to avoid getting wet or rain. If you were just to take a glance at Veau Tadelakt Leather, you might assume it’s Box Calf- and don’t worry, you’re not alone. 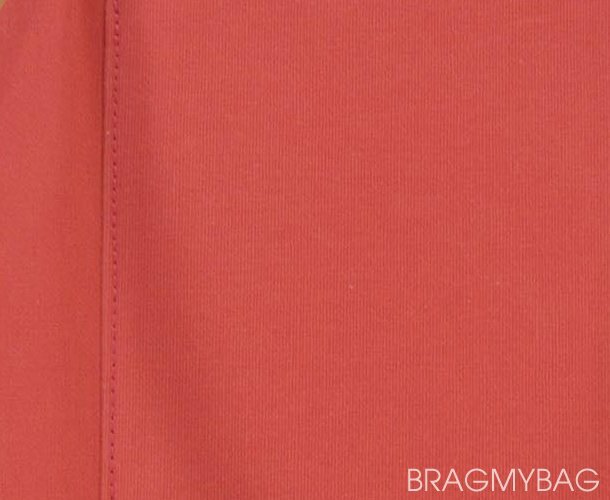 In fact, Veau Tadelakt and Box Calf leather share a lot of the same qualities and features, but the exterior of Veau Tadelakt is much softer than Box Calf. It also has no visible grains on the outside, which gives it its utterly smooth and sensational appearance. -No visible grains which makes for a very smooth exterior. -Extremely soft exterior. Might be hard to believe it’s actually leather! Originally used for Hermes saddles, this high quality calf leather is undoubtedly one of the best. It has an impeccably smooth exterior with just the right amount of gloss to make it dazzle and shine. 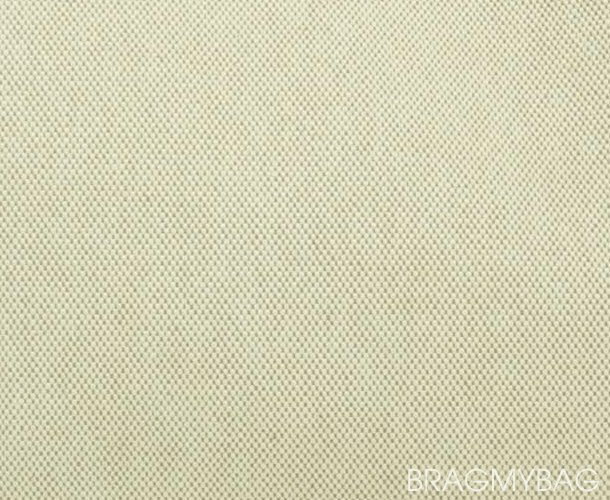 It’s typically mixed in with white top stitch, which only adds to its great appearance and durability. But besides its flawless exterior, this handy bag is also completely scratch resistant thanks to the oil absorbing material, and also works wonders during the rainy seasons as it is resistant to water. This type of leather does, however, develop patina over a series of time. -Stunning exterior that is smooth and glossy. -Very durable material that is resistant to scratches. A few swipes with finger can remove the scratches. -Also resistant to water, so no worry of water marks. 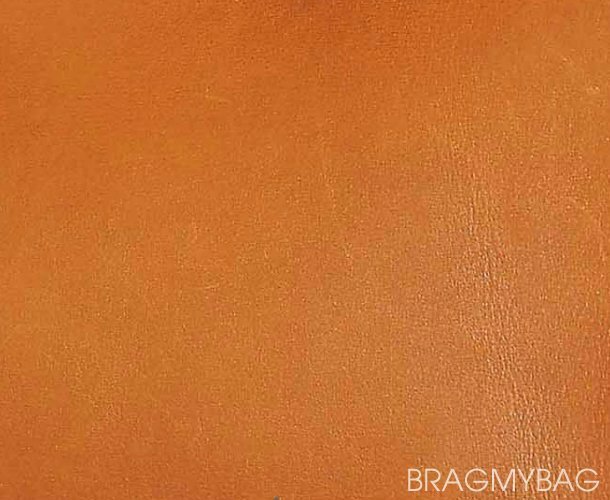 Vache natural is the name of leather from the hide of a mature cow. 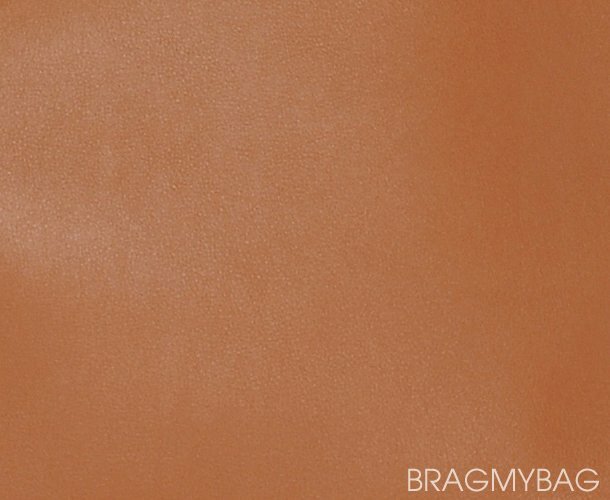 This classic leather from Hermes is untreated, thus having a very delicate and smooth finish. However, this also means that the leather will darken over time and can stain rather quickly. It is not rain-proof and will spot if it comes into contact with water. If vache natural is maintained properly and is cared for professionally often it will turn into a gorgeous patina over time. The main difference between Hermes vache natural and barenia natural is the barenia is from a calf rather than a mature cow and is resistant to scratching. It may also be handled in the rain as it is completely water resistant. Both are smooth and develop patina. If you’re seeking a bag that is different from the rest appearance wise, then Etoile, Toile Leather is a great choice. Specifically, Etoile, Toile Leather is used a complementing material to leather in some handbags. It is made of linen, thus giving it its linen/canvas appearance. 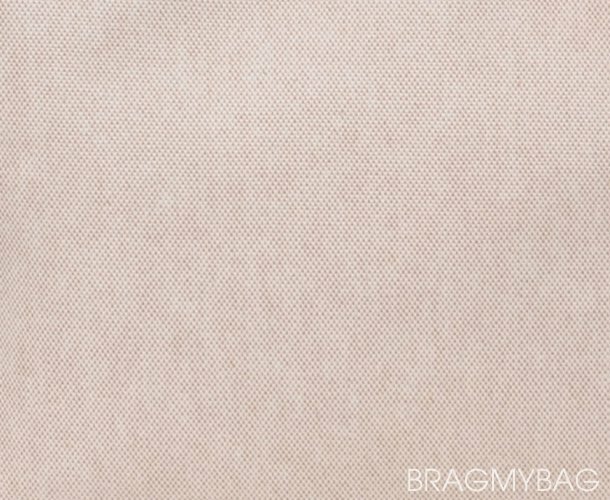 Many women are highly fond of this sophisticated style, and as an added bonus, the linen is as strong as a fire hose which means it can last for several years without flaws. Be careful though as this type of material may stain easily. -Incredibly strong and durable material that can withstand the elements. This beautiful leather is known as the embossed version of the ever-popular Evercalf leather. However, unlike other embossed leathers that can feel rough or stiff, Evergrain Leather has a softer feel that many women are drawn to. However, one flaw about this soft leather is that it is prone to scratching thanks to its incredibly fine grain. Small scratches can easily be removed by rubbing of the fingers, while larger scratches may have to be buffed out by a professional. -Very fine grain that is soft to touch. -Small scratches are easily removable. Evercalf has an appearance similar to boxcalf in terms of grain; however it is much softer to touch. Not very prone to scratching or scuffing. Evergrain is simply the embossed leather version of the Evercalf. They are both very soft to touch and have a very fine grain to their appearance for subtle texture. However, evergrain is slightly more prone to scratching than evercalf but it is easily removed simply by rubbing it off with your fingers. 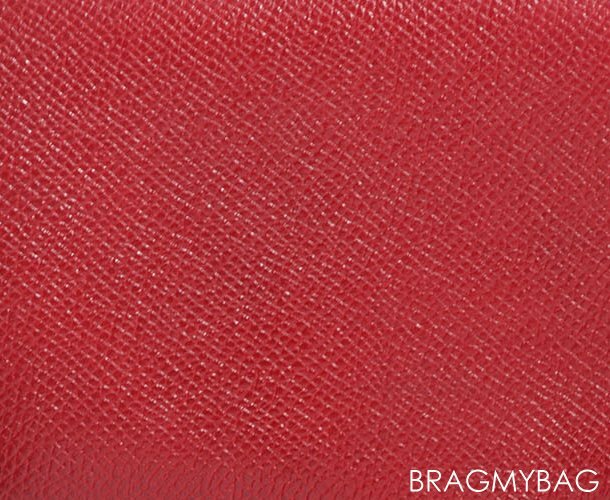 Neogonda Leather can easily be described as being ‘overly matte’ or feeling rather dry to touch, but that certainly works in this leathers favor, seeing as how it is only used in Garden Party bags. The specific reason for this? 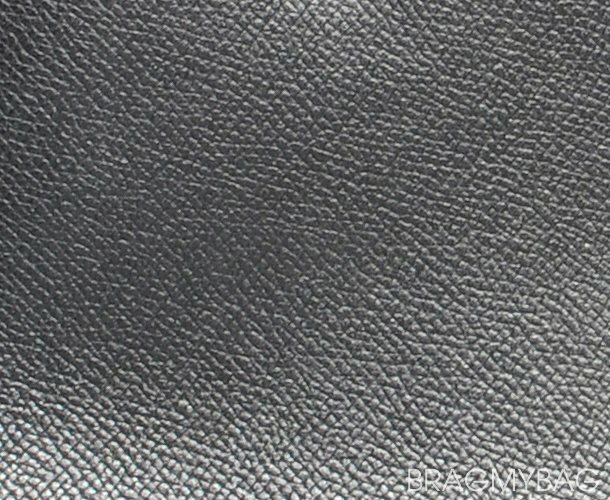 This matte type of leather is completely resistant to water. It could stand in pouring rain all day, become completely drenched, and still hold up without problem. Designed in 2007 specifically for the Garden Party Collection, it differs from other Garden Party leathers thanks to its unique colors. Veau Sikkim Leather is undoubtedly one of the softest leathers on the market, and gives handbags more of a slouched appearance. It is so amazingly soft that many women refer to this calf leather as feeling like ‘butter on their fingertips’. 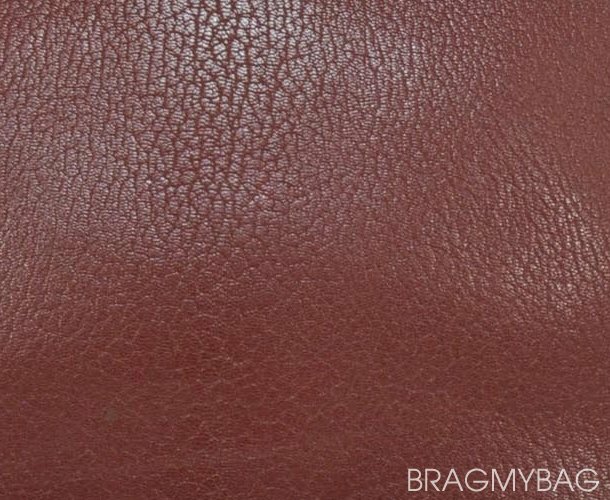 Others have remarked that Veau Sikkim Leather resembles Box Calf leather, although the Veau Sikkim has little to no grain, thus giving it its ultra soft feel. It is also a lot less stiff than its sister leather the Box Calf. -Gives bags a trendy slouched look. The difference between Hermes Togo and Clemence is rather subtle, seeing as how they are both from bull. However, Clemence is made from the hide of a young bull while Togo is made from baby calf. This changes the texture, giving Clemence a softer feel that is a bit slouchy and relaxed. It is also heavier than the Togo, which has a smaller grain and a crispier, rougher feel. Togo holds the shape of bags better than Clemence, which is why most women choose Togo for larger bags. It is really a matter of personal choice though. If you like a slouchier look, Clemence would be preferred to Togo. Trying to describe the difference between Togo and Epsom is like trying to describe the difference between morning and night: polar opposites. As far as Togo goes, Togo is a bit heavier than Epsom and has a distinct veiny appearance. 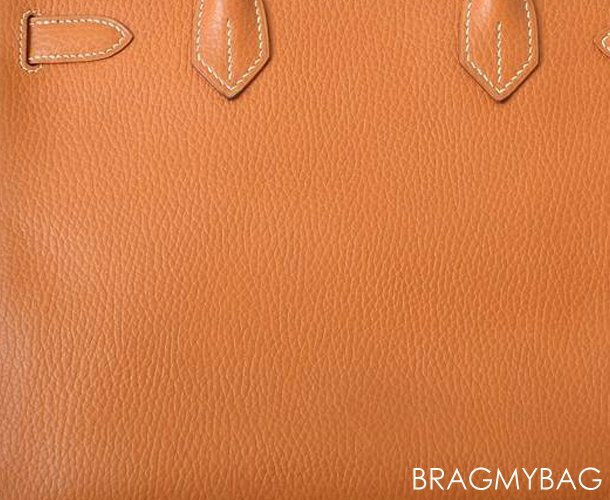 It has pronounced grain which gives the bag a raised appearance, although the texture itself is smooth. It’s a better option for slouchy looks. 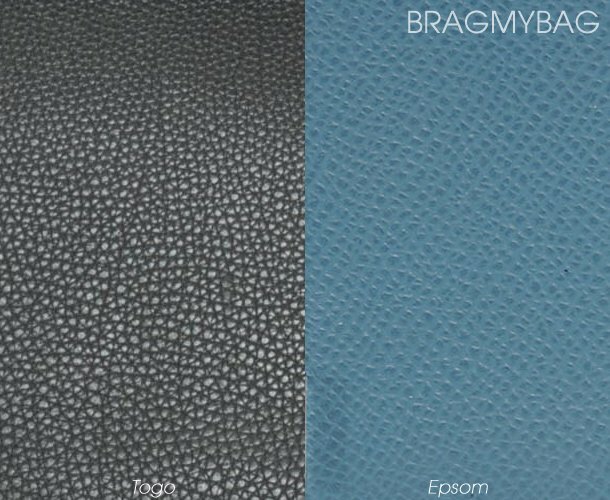 Epsom, on the other hand, is an embossed leather that is structural and stiff. It’s certainly the easier of the two to clean thanks to the ‘laminated’ exterior, although both are resistant to scratching. Chamonix is known as the ‘matte version of boxcalf leather’. It has a very distinct matte appearance that gives off an almost plastic appearance. 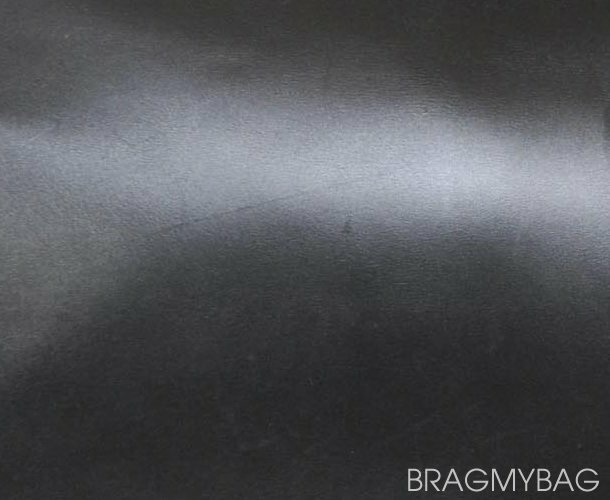 This type of leather stands up to scratches much easier than boxcalf, which means you won’t have to worry about scuffs or blemishes. However, Chamonix can NOT handle the rain (it is not water resistant) and may blister over time. 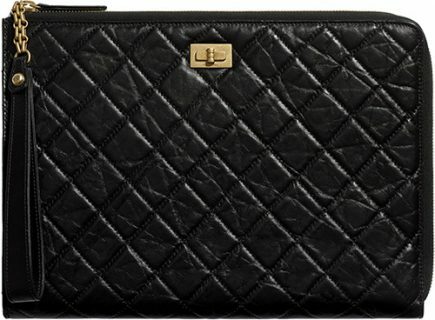 It’s a great choice for an everyday handbag as it is not prone to scratching. Peau Porc is undoubtedly a classic leather of the Hermes’ brand; however it is no longer being produced. It is a gorgeous pigskin with a distinct, textured appearance. 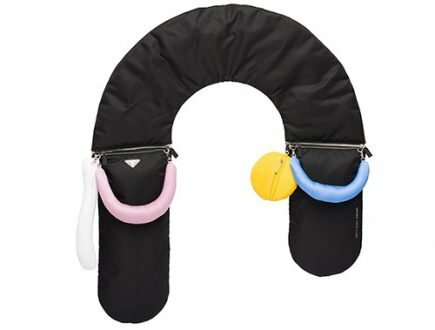 It’s super lightweight and extremely durable, a great choice for your everyday bag that you carry everywhere. Courchavel is extremely similar to Epsom leather; however it is notably glossier at the top of the grain and a bit darker as well. Courchavel is super lightweight and a cinch to clean, removing any dirt or scuffs with ease. It’s a beautiful leather with a subtle even grain for just a touch of texture. An exotic leather, Varanus Niloticus is extremely delicate and high maintenance. 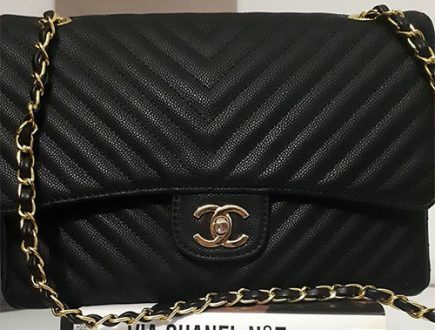 It must be handled with care and annual cleaning is highly recommended to keep this bag in tip top shape and to lessen the occurrence of dry scales. Leaving this gorgeous, iridescent matte-like leather unmanaged will lead to dryness and scales flaking off the bag. If you can give Varanus Niloticus the attention it needs, it looks fabulous on accessories- but not recommended for items used often. Extremely similar to Varanus Niloticus, this fragile and exotic lizard skin is made up of small hides and small scales that can flake if not taken care of. Has a beautiful glossy surface that must be handled with care and treated professionally by Hermes at least once a year. Amazonia may appear to look like real leather, but in fact it is simply rubber coated canvas. The great thing about this material is it is completely waterproof- an awesome choice if you live in an area where rain occurs often. However, it’s also prone to scratching and blemishes so try to handle it with care. A rather interesting material of veau or calfskin, with a beautiful exterior that’s made up of small grains and deep veining. 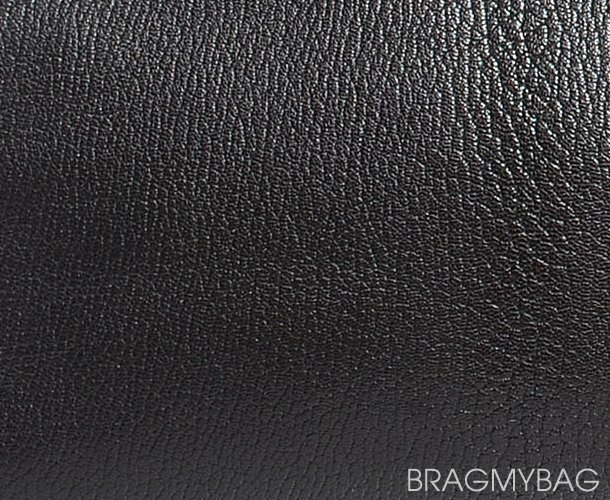 The most amazing part about this leather is it is completely scratch resistant, which makes it a wonderful option for accessories that will see plenty of wear. It smells good and has an elegantly silky finish that glides on the tips of your fingertips. Vibrato is an incredibly unique and divine material. 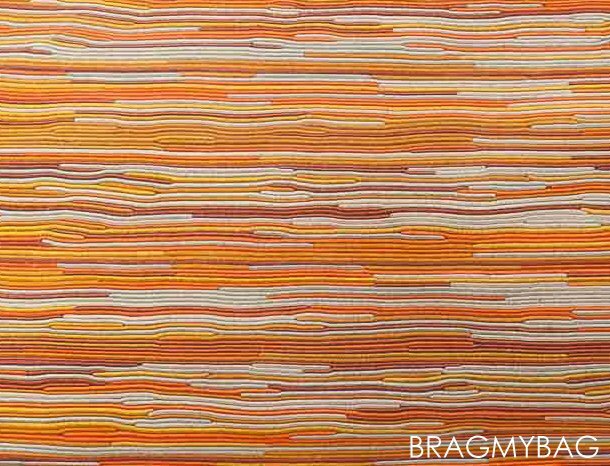 The pattern is created by gluing multiple leathers of different colors in an alternating fashion to create a stunning work of art that’s colorful and durable. Whether or not your vibrato is prone to scratches will depend on the type of leather used, but most combinations are tough and won’t blemish with ease. Vibrato typically comes with a handy pen to clean your bag. One of the sturdiest and most durable leathers on the market, Ardennes is said to be an excellent option for bags that will be used often. The leather is thick and raised, and is scratch resistant as well as water resistant. It is not soft to touch and will hold its shape even after years of use. A beautiful, thick grain is boasted on the exterior and has a subtle sheen. If you’re looking for a leather that will stand the test of time, vache liegee is your answer. It’s known as being the thickest, sturdiest and most durable leathers of all time out of the Hermes leather collection. It has a beautiful grained leather exterior with a delightful two-tone effect that’s eye-catching and appealing. The subtle luster gives this leather an elegant touch while its low-maintenance characteristics make it a go-to choice for everyday accessories. Vache Hunter is typically not used to adorn an entire handbag, and is seen mostly on trims because of its stiffness and roughness. It has an unfinished underside and is extremely prone to scratching and scuffing. Crinoline is a material that weaves together horsehair and linen, used together with leather. 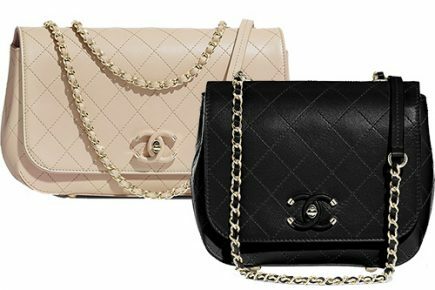 It is an incredibly strong material that can hold up very well against scratching and it won’t lose its shape, especially when it is used on a structured bag. 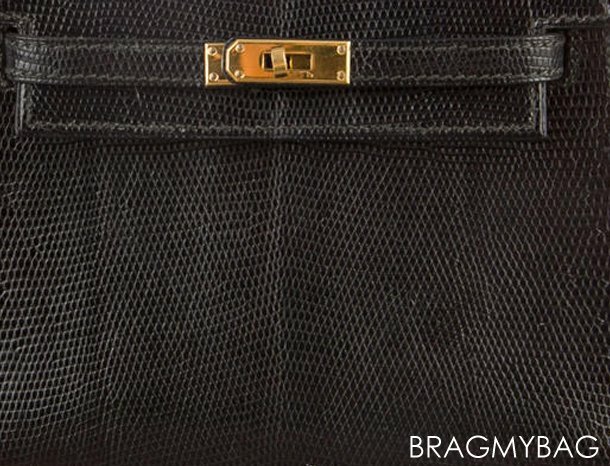 It’s possible that the horse hairs can break off over time, but the durability of this material makes it a wonderful choice for bags that will see a lot of use. 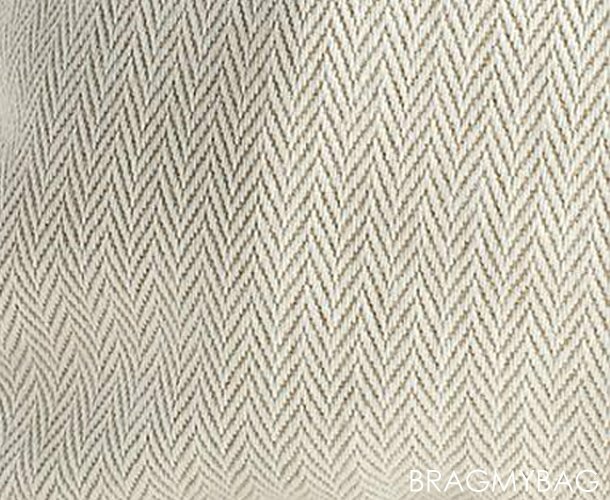 When linen is woven into a chevron pattern, it is known as herringbone linen. 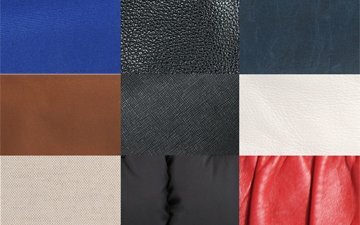 Suede is a gorgeous, velvety leather that’s incredibly soft to touch; however, it’s probably one of the most finicky leathers on the market. 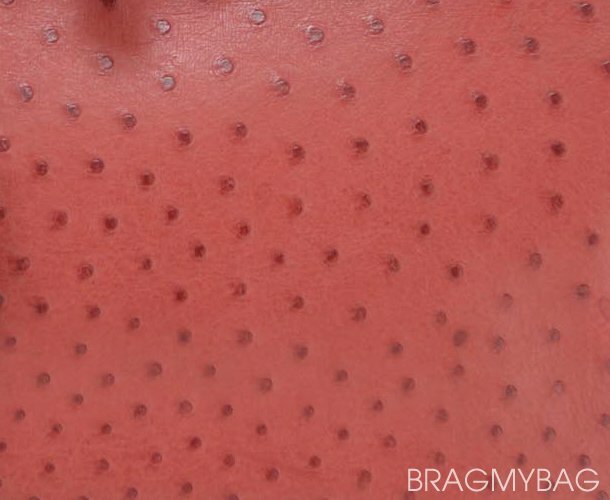 It must be handled with great care as this leather is prone to scratching, scuffing, dirt, grime, color fading, and all sorts of other unsightly blemishes. It cannot be taken near water and may slouch over time. 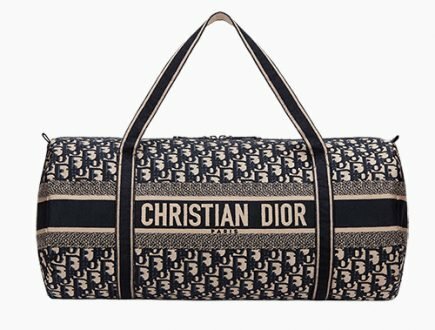 Not ideal for an everyday accessory, but highly luxurious for items you’ll only use on special occasions. What skin is used on the back of the watch strap? 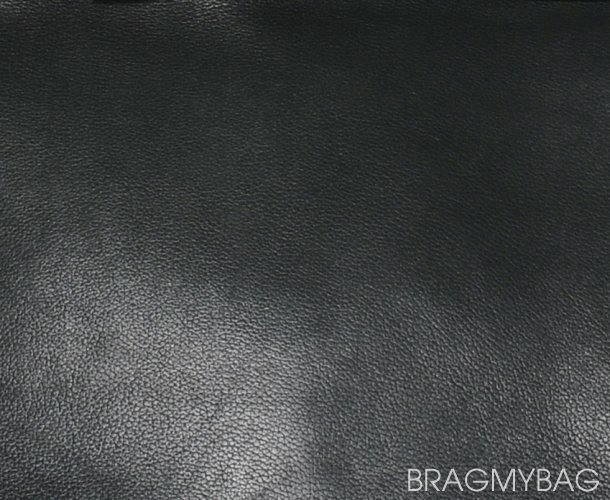 Can someone tell me what leather this is? May I know what bag this is? I think its Country cowhide because of the pattern of the leather. 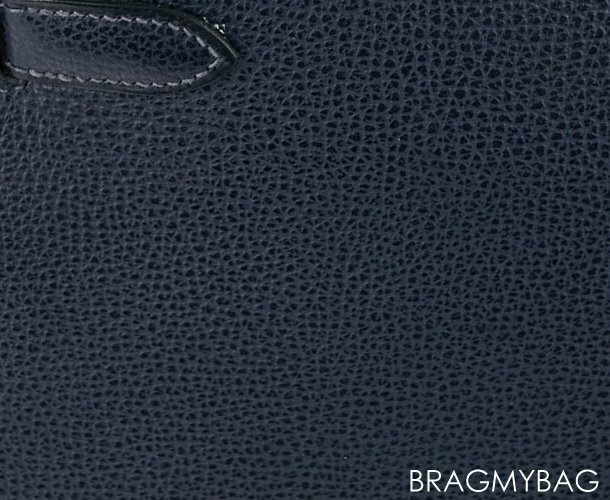 Witch Leather is a Classic for Birkin , Togo or Epsom? Togo or Epsom, depends on your personal choice. Both are great choices. Epsom is lighter than Togo and Epsom is also cheaper, but the price difference is not that much. Some people like Togo because Epsom is embossed leather. Which crocodile is more expensive? The Niloticus or the Porosus with the inverted V? I also heard some said “alligator ” is cheaper? Confused me. Thank you very much. Porosus is more expensive than Nilo, Matte is more expensive than Shiny, Matte Porosus is thus the most expensive Hermes leather. 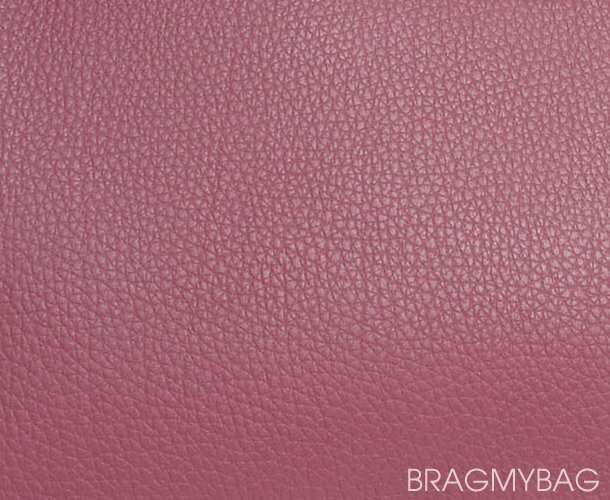 Can you tell me the official Hermes name of the pink/mauve you have showing to demonstrate the Clemence leather? I think the color you are looking for is anemone? That should say Birkin* not Birkenhead lol ? My phone refuses to type Birkin! Hi Danika, thats very unusual, can you share a picture of the ‘veins’? And may I know where you purchase the bag? I purchased a Hermés Birkenhead in black Togo leather. The leather has “veins” running down and I think this makes it look like a “copy” ……. which it is most definitely not as it was purchased from a Hermés store and I had to wait a very long time to receive it …….. 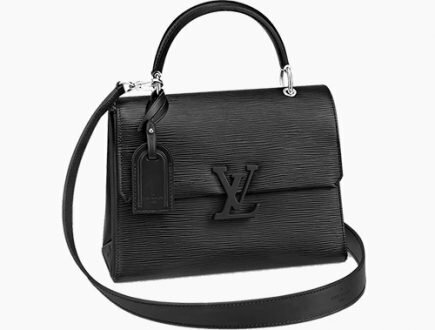 I love my bag but when I seen “veins” I felt a bit disappointed 🙁 …… should the “veins” be there on such an expensive bag?? I would really appreciate your feedback! 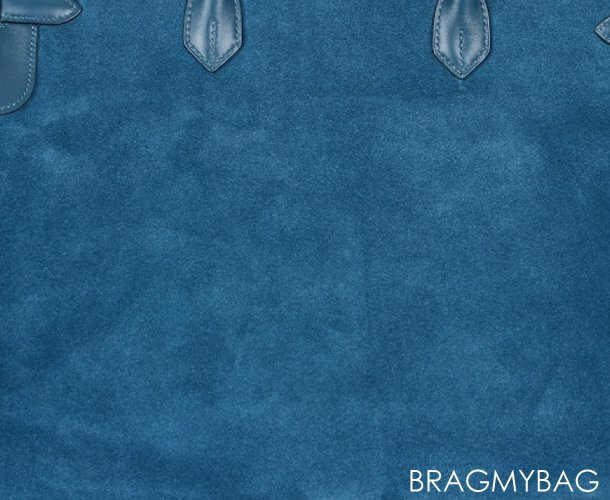 Which leather is the cheapest? The cheapest is togo and clemence, but the quality of these leathers are good. Do you know if Sikkim is too delicate and not durable? Can scratches be rubbed off? Sikkim comparable to Swift, very smooth, but its much more softer and even thinner. Introduced in around 2010 – 2011 by Hermes. The experience is it doesn’t really hold up and sometimes scratches are not easy to be rubbed out.